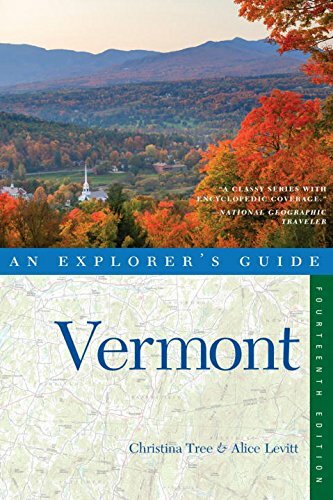 The Vermontist is back in Vergennes, Vermont, and this time at Black Sheep Bistro. Cozy and eclectic best describe this French dine-in restaurant, from the Parisian bistro chairs to the warm, inviting décor you will love the ambiance from Black Sheep Bistro. The food is fresh and local and the menu may not be extensive, however everyone is sure to find something that fits his or her taste. The seared scallop cakes with saffron aioli are perfection, from the presentation to the seasoning. Lady Dumplings, fried pork dumplings with coconut curry sauce, these babies are potent and full of flavor. Cheddar sage biscuits with mushroom gravy and roasted vegetables, this entrée is seriously satisfying. The vegetables are fresh and the biscuits are delightful. An entrée to go with our Asian starter would be the delicious sesame crusted salmon with an orange ginger gastrique. My salmon was cooked perfectly and the sesame added a wonderful texture. Come check out Black Sheep Bistro in Vergennes and let me know what your favorites are! I’m excited to revisit this quaint French inspired restaurant when the weather is warmer, they have a wonderful outdoor seating area. For more information click here and for reservations click here.